Plastic furniture is a speciality of Finnish designer Eero Aarnio. Back in the 1970s,he first designed the iconic children's furniture, which is now produced by Magis Me Too. 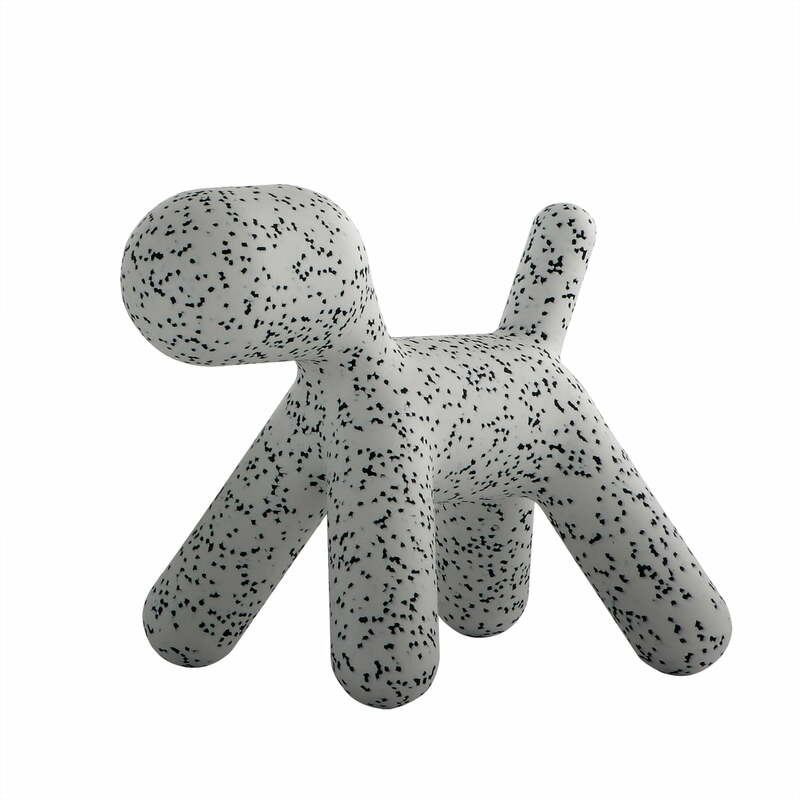 Puppy, the abstract dog made of plastic, is an old friend from the children's furniture collection from Magis Me Too. 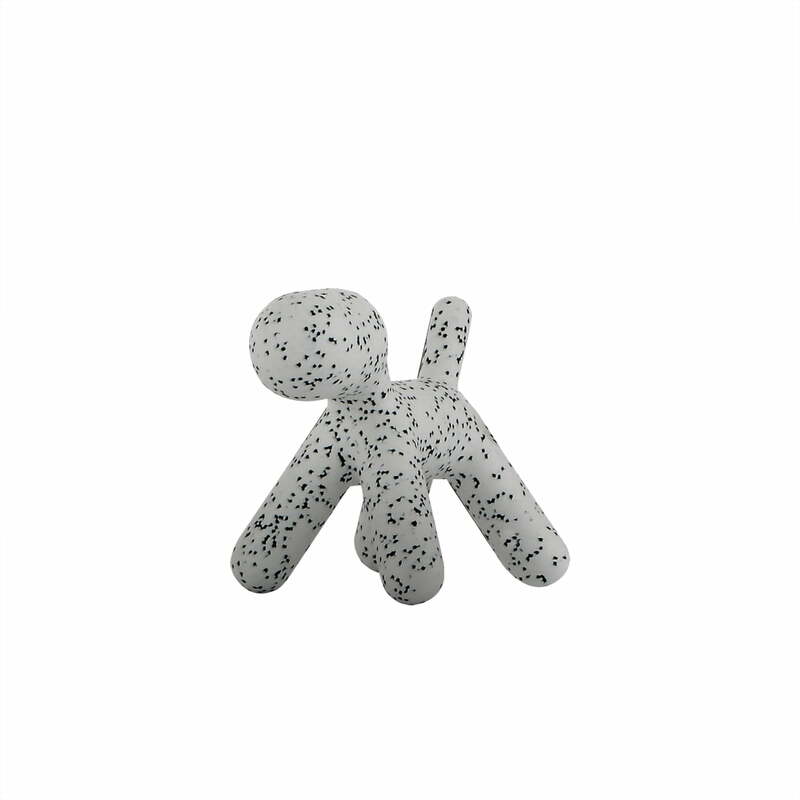 The toy dog conquers the world of design enthusiasts, living rooms and children's rooms as puppy dalmatian now. 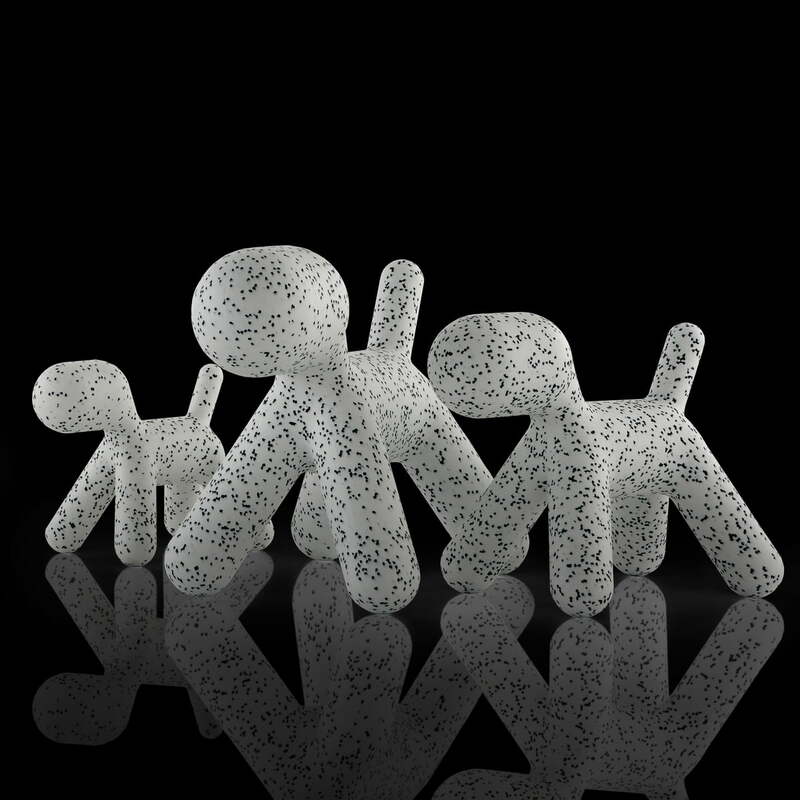 Puppy is an extremely decorative plastic object which not only ensures lots of fun for the children's room, but is also suitable for outdoor use. The robust puppy is produced in a complex rotation procedure from polyethylene. The design dog is available in different sizes and further colours.